What Is in Your Chocolate Bar? What Can You Do with a Chocolate Nib? There are so many different types of chocolate out there that it can be a bit confusing to figure out what chocolate is what. The following will hopefully help you understand a little bit more about what those choices are. 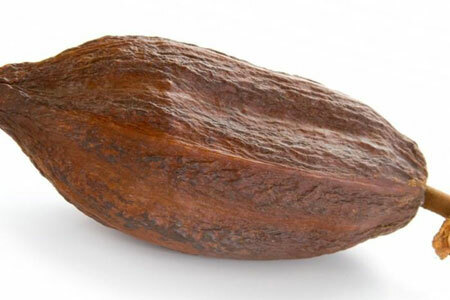 The cocoa pod is a hard shell that is filled with the cocoa bean. There are approximately 20–50 beans in each pod. They are hand-picked and then fermented and dried. 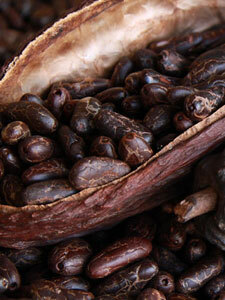 At this stage, the beans are usually shipped to the chocolate-making factories. They roast the beans and de-shell them, leaving the chocolate nibs. 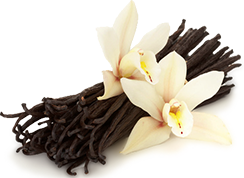 The majority of the nibs are crushed to make chocolate, but some nibs are packaged in their raw state and sold to consumers. You should be able to buy raw nibs from your local health food store. 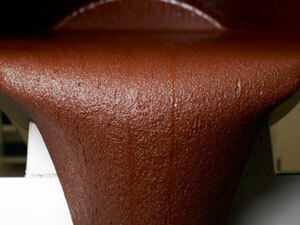 The nibs that are made into chocolate are crushed, and these are formed into something that is called cocoa mass. This cocoa mass is also called chocolate liquor, which is the term I use. The chocolate liquor is made up of cocoa solids and cocoa butter (about 46% solids and 54% butter). The higher the amount of cocoa butter, the smoother the chocolate. It is the cocoa butter that gives chocolate that delicious, smooth texture and allows the chocolate to melt in the mouth (or on your hot body!). 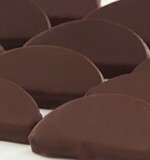 It is the cocoa solids that will add the strong, bitter notes to chocolate. Standard chocolate is made from the chocolate liquor, and the additions to the chocolate liquor are what determines the kind of chocolate it is. The main addition to dark chocolate is sugar. Depending on the quality of the chocolate, more cocoa butter will be added. You will see varying percentages of chocolates – what does this mean? In Europe, chocolate must contain at least 43% cocoa to be considered dark. Milk chocolate has both sugar and milk solids added to it. Because there are milk solids in it, the % of cocoa solids will be lower than dark chocolate, and therefore milk chocolate is sweeter and less bitter. The milk solids give it a creamier flavour. Good-quality milk chocolate will also have extra cocoa butter added. White chocolate is not made from the chocolate liquor and therefore is not technically a chocolate. It is made from cocoa butter, milk and sugar. The taste is light and sweet. Good-quality white chocolate will also have extra cocoa butter added. 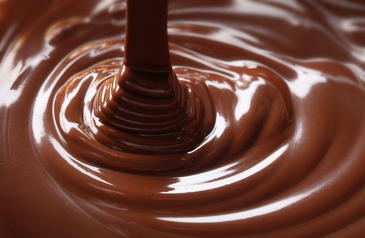 Cooking chocolate will use vegetable oil as well as cocoa butter, making it easier to melt. The taste is compromised, but the product is of course cheaper, as cocoa butter is a more expensive commodity than vegetable oil. Compound chocolate has no cocoa butter, just vegetable oil. I don’t recommend using this chocolate. However, it is easy to melt and does not need tempering. There are other additions to chocolate bars, such as vanilla and lecithin and other stabilisers, but they differ between different manufacturers. The above additions are what change the original chocolate liquor to the end marketed product. This process of fermenting, drying and roasting are all important in the final taste, as is the quality of the beans and the percentage of cocoa butter – and that is where you will have to do some taste testing (tough job!) with different brands to find out which you prefer. So if a bar says 70%, what does that mean? It means 70% of the total ingredients are chocolate liquor, and in a chocolate bar, that is goooood! But from that chocolate liquor, what percentage is cocoa butter and what is cocoa solids? The more solids, the more strong and bitter the taste, and the more cocoa butter, the smoother the taste, so obviously, the ratio of cocoa butter to cocoa solids in a bar of chocolate is important to the final taste. So you would think the government would mandate manufacturers to show the percentage of cocoa butter on the bar or even that the manufacturers would want to, but unfortunately they don’t – which just goes to prove what a mad mad world the chocolate world is! But looking on the bright side, no cocoa butter percentages on the packaging means more taste testing for us! Bittersweet chocolate can be 35% to 84% cocoa, which is way too big a range to really be of any use (back to the taste test!). Semisweet or sweet chocolate can be 15% to 34% cocoa. The world is your chocolate oyster with a packet of chocolate nibs. You can bake with ‘em, use them to decorate, sprinkle on salads or coat the nibs. You can, of course, also make your own chocolate by grinding the nibs and adding cocoa butter and sugar – however, I really think some of the manufacturers out there have that part of chocolate making cracked!